As one can imagine, the construction industry has some of the riskiest jobs in America. Construction workers face a wide range of hazards at work everyday from falling debris to machinery mishaps and everything in between. Below, is a countdown of the top five most dangerous construction practices. #5: Working with Power Tools. 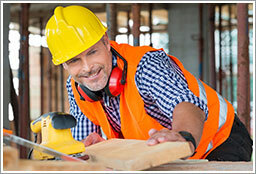 Although power tools are used in most construction jobs, sometimes the greatest risk exposure occurs during tasks that have become second nature to the worker. Over time, because of the frequency and repetitiveness, employees are likely to overlook the safety precautions and form sloppy usage habits. For instance, did you know that OSHA gets reports of 37,000 emergency room visits a year, just from nail guns? #4: Heavy Equipment Operators. Many worksites in construction have large machinery on site. 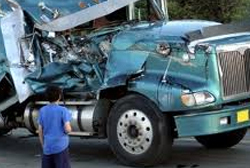 To avoid dangers, equipment operators need to be heavily trained in proper usage of the machinery. Site planners should be aware of the surroundings and be careful not to bring equipment into an area where it’s not suitable. Also, to avoid failure, machinery should be carefully inspected on a regular schedule. #3: Sewer and Duct Construction. While working in confined spaces, it is important that proper ventilation is secured before sending any crew into a tight space. Furthermore, in the case of an accident, emergency escape routes should be in place if possible. If not, only the most trained individuals and properly maintained tools can help reduce the risk of suffocation or getting trapped. #2: Demolition Jobs. Jobs in demolition rank high on this list because it is the most unpredictable job in construction. It is hard to calculate how gravity and other factors will affect a piece of falling material. However, many of the risks of demolition actually can be avoided with proper planning. Electrocution, for instance, is a common demolition injury that safety measures could prevent. #1: High-Rise Construction. Working at heights is the #1 most dangerous construction job. 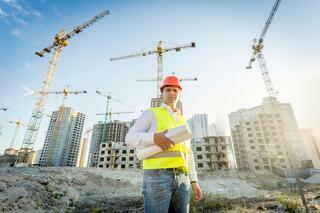 Fall accidents make up 40% of construction-related deaths, and countless more injuries. The higher the building, the higher the risk. Other inherent risks include harsh weather – especially during the Wisconsin winter months, fire, and high winds. The type of work being done up in the air also influences the amount of risk. Concrete work and lifting with cranes rank among the most dangerous. Risk awareness promotes safety and can help prevent injury or death on the jobsite. Partnering with the right agent provides you and your employees with the proper safety information and guidance to minimize construction hazards. Information provided by Insured Solutions Inc. Does Your Business Have a Wellness Program In Place? 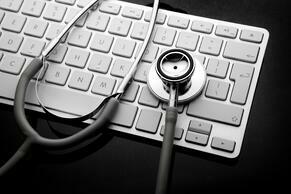 Is your organization taking advantage of the numerous ways to save money on health insurance? Are you looking to reduce your insurance premiums? While there are numerous benefits to implementing and maintaining a robust wellness program, reducing the number of employees who smoke is an important piece of the wellness puzzle. Proactively providing smoking cessation programs will have a direct impact on your health insurance premiums. In addition, smokers commonly have longer recoveries from surgery and often need repeat surgeries which causes work comp claims to skyrocket on individual surgical claims. The Charolotte Observer recently published an article with examples of doctors refusing to operate on those who smoke. According to research, one study found that smokers who got joint replacement surgery had an 80 percent higher chance than nonsmokers of needing repeat surgery because of complications from infection. Are you looking to revamp or jumpstart a wellness program at your organization? Contact me to learn more about the resources R&R has available to assist. How do organizations help prevent injuries for their aging workforce? Wellness programs to aid injury prevention: help prevent strains, sprains, and falls by improving flexibility, strength, and balance. Great examples is starting a flex and stretch program, cover part of a gym membership, or hold exercise classes like yoga, Pilates, or Tai Chi. 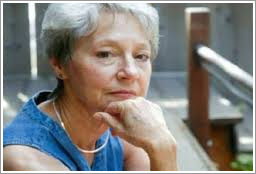 Older workers are knowledgeable, experienced, and provide an abundance of value to any company. Keeping them happy and healthy will positively affect the entire organization. For more information on how healthy employees can affect your bottom line, ask Bill Katzfey about WellCompForLife.